Jo S: Much of my list this week is played for laughs - maybe something to do with cheering myself up on a gloomy January Wednesday! Jimmy’s Bastards is multiple kinds of wrong but its non-PC humour is a real tonic. I continue to enjoy the Deadpool Vs Old Man Logan dynamic as this odd couple entirely fail to work together harmoniously. A few of my regular books have reached an end recently and so there’s a Welcome Mat out for a couple of new titles on my pull-list. I'm giving Days Of Hate #1 a try - the striking cover caught my eye and Ales Kot’s name sealed the deal; the blurb doesn't give very much away but hints at a future world in crisis and two people torn apart by circumstance. I'm giving Ice Cream Man #1 an opportunity to impress too - I like the idea of themed done-in-one horror stories and the sickly sweet style reminds me of the pink frosted donut theme running through my favourite horror comic, Plastic. The third newbie for my list is The Further Adventures Of Nick Wilson #1. What happens when you lose the superpowers that defined you and set you on your career path? Washed up and approaching his 30s, Nick needs to find his purpose, in spite of all the baggage he's carrying from his former life; this one looks like it should be a giggle. 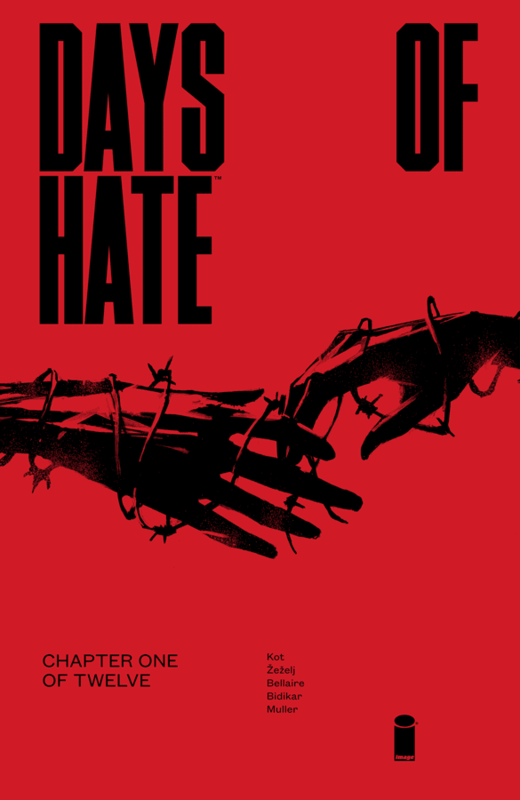 Matt C: Days Of Hate #1 stands out from the pack this week with Ales Kot hopefully playing to his strengths by givings us a politicized vision of the near future with terms like 'police state' and 'white supremacy' populating the blurb. I keep waiting for a series that will break the writer out in front of a wider audience; this has the potential to be that series. The Further Adventures Of Nick Wilson #1 is the second Image debut of the week to catch my eye, dealing with a has-been who lost fame and adulation when he lost his superpowers, all before the age of 30. Kill Or Be Killed #15 arrives too, and it's an almost certainty now that an issue of the Paradoscar winner of Best Ongoing Series will deliver a hugely memorable and daring read. From a trio of Image books to a trio of Marvel books: Doctor Strange #384, Mighty Thor #703 and Peter Parker: The Spectacular Spider-Man #299. A mix of old and new creative teams, but they all seem to really understand how drama and emotion can be leavened by humour.